Bob Sedergreen's high regard and position in Australian music is unquestionable. His impact and influence in performance, composition and education for over half a century has secured his place as a national treasure. Bob has won the respect and admiration of recognised talents both in Australia and internationally. People like Jimmy Witherspoon, Nat Adderley and Phil Woods, to name but a few. Australian artists include: Brian Brown (OA), Allan Browne (OA) Don Burrows (OA), Ted Vining and Judy Jacques. Bob has also appeared in concert with all time greats like Dizzy Gillespie and Milt Jackson. Bob's musical abilities find him leading and working with a plethora of diverse ensembles and groups. From the traditional to the most contemporary, he infuses the music with authority of style, creative expression and wit, in a manner that is never arrogant or condescending. He has recorded many dozens of albums and over 32 CDs. 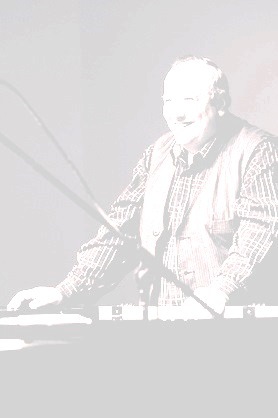 In 1990 Bob won the Inaugural Jazz Award for Australia's Best Keyboardist. He has been described by colleague Dr. Tony Gould as the world’s best Blues pianist. To play with Bob Sedergreen has been described as the "ultimate armchair ride". "To hear him is always exciting and satisfying" - Adrian Jackson, The Age. In 2006 Bob was awarded the Ken Myers Medallion for Contributions to the Arts by the Victorian Arts Centre. He was the first musician to be given this award. In 2008 Bob was awarded the Don Banks Award for contributions to Australia’s cultural musical identity by the Australia Council - one of the nation’s highest musical awards. In 2007 Bob released his book "Hear Me Talking to Ya". A book worthy of mention by “Linkedins Jazz Group” March 2012, an authority on jazz publications worldwide. As an educator, Bob is responsible for setting up the Jazz components at the Melbourne University's Artist in Residence Scheme throughout country and city secondary schools of Victoria. In the eighties Bob led the octet "Blues on the Boil", the only Blues band to emerge directly from the jazz world. Peforming and touring in Australia for some ten years, they were the first band to be recorded live by the ABC. (The album "Potent Brew"). No Blues bands have existed in the jazz world since. In the nineties Bob led the nonet 'Art Attack' - multi-ethnic, multi-denominational, multi-gendered, that fused elements of Australia's multicultural society to form a new music called Joz. The band was a precursor to reconciliation.